Whole room drying in just minutes! You can now effectively dry a full sized room in as little as 15 minutes after doing a complete carpet extraction. This Tornado Windshear axial air mover blows air down and out onto your carpet, expediting the drying process. It pulls drier, warmer air from above, driving it down and out across the entire surface of the floor. The transport cart and casters make the unit extremely easy to move from room to room, and job to job. The downdraft models can be found in our axial carpet flood dryers section, and they tend to pull warmer air down from above to dry your carpet faster than ever before. Now instead of transporting a half dozen, or a dozen air moving carpet dryers, you can now get the same job done with one or two of these bad boys. For other similar models, we also have the infamous Dri-Eaz Studebaker air mover fan, and the more cost effective X-Power down draft air mover. 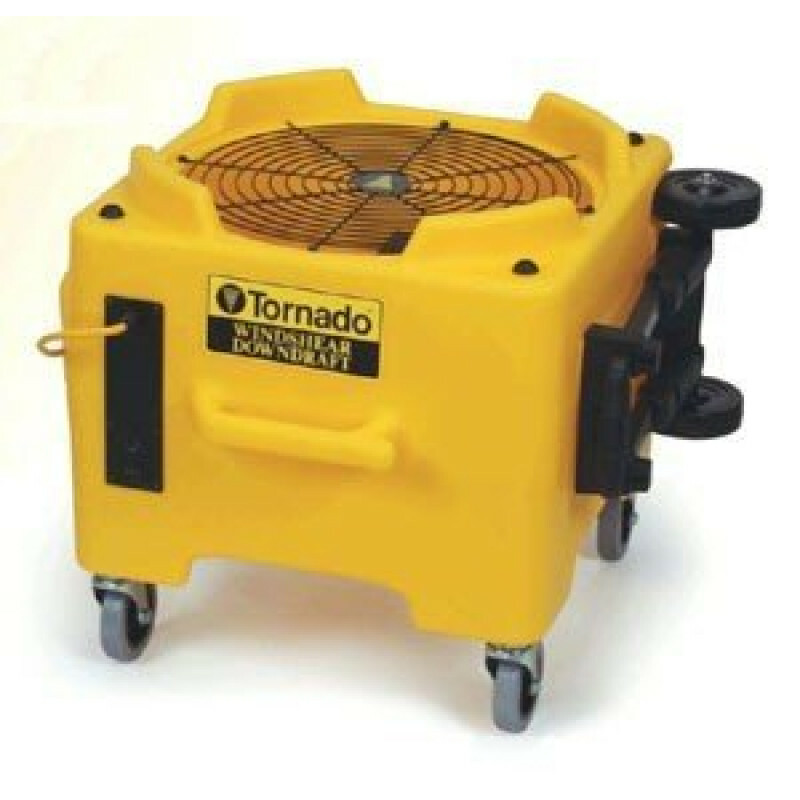 The reason why we love this downdraft axial fan, is not only because we only need to take one fan to a job now, but it also has casters and a transport handle to move in and out of your vehicle, as well as around your customer's home or business. No longer does your back have to hurt once you leave a job because of all the lifting and moving of fans and equipment! The easiest fan in the industry to move from job to job. These axial fans can be stacked up to 4 units high for storage and transport. 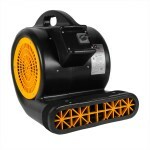 Incredibly low 3.7 amp draw on a 1/4 HP motor allows you to use this fan in any drying environment. Built in cord wrap makes pick and storage a cinch. 360° air flow dries areas in record times. Whole room drying in just minutes. This is a review for the Tornado® Windshear™ Downdraft Axial Fan.